Nadine might have a hard time recouping her deposit on the remote Belgian mansion she rented for a drunken New Year’s blowout. As usual, it is always the blood stains that are the hardest to get out. There will be a lot to clean up when a psycho-killer starts stalking her guests in Tony T. Datis’s Le Manoir (trailer here), which screens during the 2017 Fantasia International Film Festival. Nadine and Fabrice are definitely still together, but in the case of Stéphane and Sam, it depends who you ask. He says they are just taking a break, but she says they are totally over. That already makes things pretty awkward, but the night will get much worse when someone starts knocking off the irresponsible partiers. Of course, the heaping helpings of drugs served up by the hippyish Drazic will not help much either, especially when he slips some Jim Morrison-strength mushroom brownies to Sam’s shy cousin Charlotte. Vanessa Guide probably counts as the professional ringer in the ensemble, delivering some truly outrageous lines with appropriate contempt for decorum as the sexually “confident” Sam. Jérôme Niel doesn’t take any prisoners either as the abrasive and possibly delusional Stéphane. However, Ludovik Day scores the most surprise laughs as the not quite as nebbish as he looks Bruno, whereas Vincent Tirel’s Drazic largely falls back on druggy-guru clichés. Regardless, you have to give Datis credit for observing horror movie traditions while tweaking and twisting them at the same time. The mansion itself also represents some very effective location scouting and set dressing. 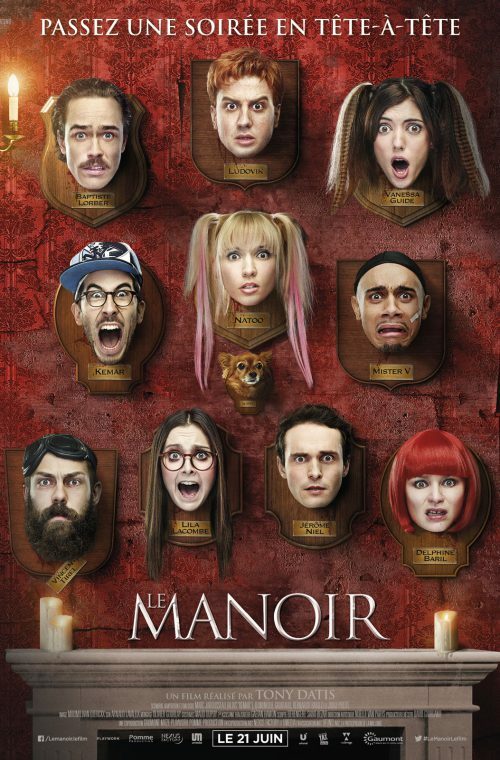 Recommended without reservations for horror fans, Le Manoir screens tonight (7/21) and Wednesday August 2nd as part of this year’s Fantasia.